So inspired to climb my first Munro now! Can't decide which one to go for first though! 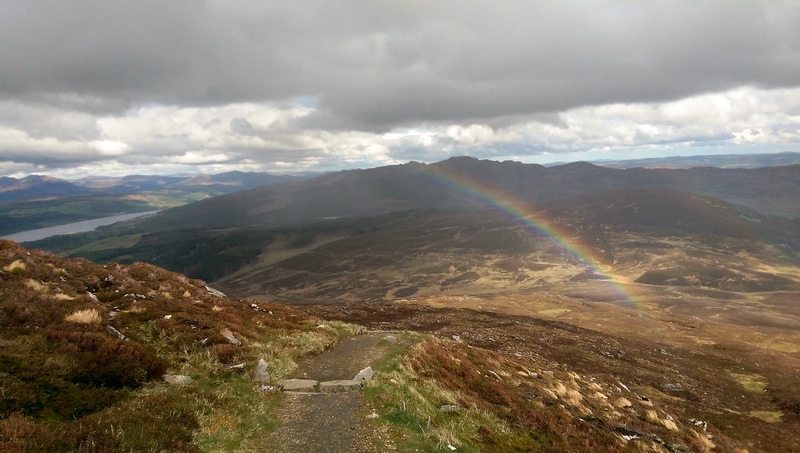 Not sure if anyone has mentioned, but some of the Glenshee Munros are easily accessible and great options for beginners, specifically thinking Cairnwell, Glas Maol, Ben Aosda and Carn a' Geoidh - great for building hill fitness and confidence. Start from Glenshee Ski Centre. Also worth having a look at the Ben Lawers range near Kenmore in Perthshire, as there are good paths to the summit, although summiting Ben Lawers itself (just under 4,000 ft, though the car park at the start is at around 1,000 ft) once you've been over it's neighbouring Munro of Meall Glas, is quite a big day. 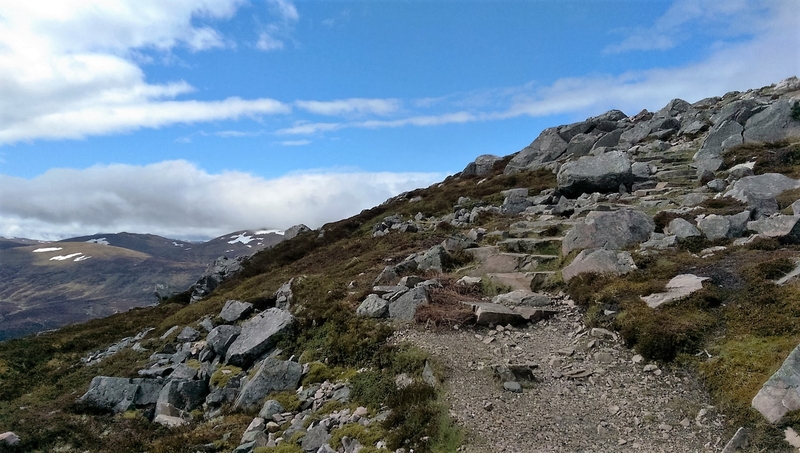 Also Ben Lomond is a straightforward hill with good paths to the summit - make sure you return to your start point at Balmaha/Rowardennan by coming down the Ptarmigan ridge though - on a clear day, the views over Loch Lomond and the wee islands in the loch are just amazing. Hills from railway stations - the Munro Beinn na Lap from Corrour station is pretty straightforward, though the terrain is pretty featureless in mist/fog, so being able to navigate with map and compass would be important. It's a bit of a lump, but the views over Loch Ossian are amazing - you could even stay in the Youth Hostel on the loch's shores. On the other side of that station is the Corbett of Leum Uilleim (if you've ever seen Trainspotting, you might recognise it! ), which is also well worth a walk. Get a train from Glasgow, or alternatively, drive to Rannoch station and take the train from there to Corrour station. Fionn Bheinn from Achnasheen station (west of Inverness) is also a straightforward walk/climb though again pretty featureless in mist/fog. Lovely wide open Highland countryside in this area too. Heartily agree with Leodhasach - many Munros are amazing, but some are pretty boring, so don't be restricted by a list. For me (currently sitting at 220 Munros and nearly 80 Corbetts), many of the Corbetts are more rewarding for both the climb and the scenery. Hope all goes well with the Ben in August and give me a shout if I can help further. 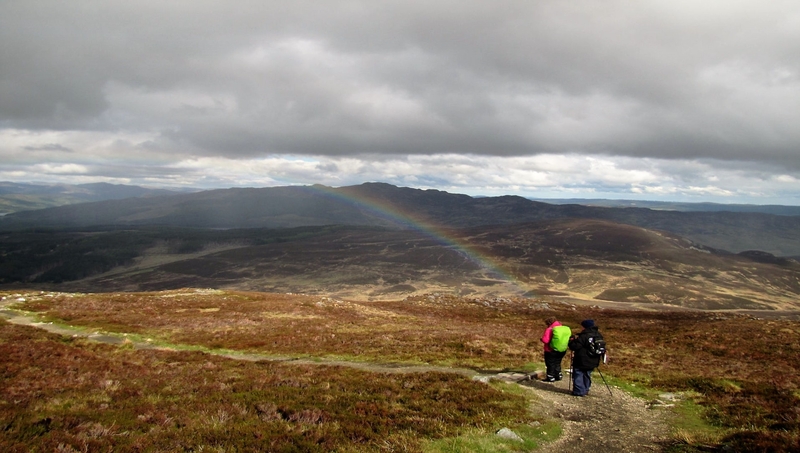 We're hoping to start Munro bagging too so lots of awesome suggestions to get us started. We attempted Ben Arthur or The Cobbler last year. Weather just got too harsh for us and visibility was poor. Best not to get lost in the fog! 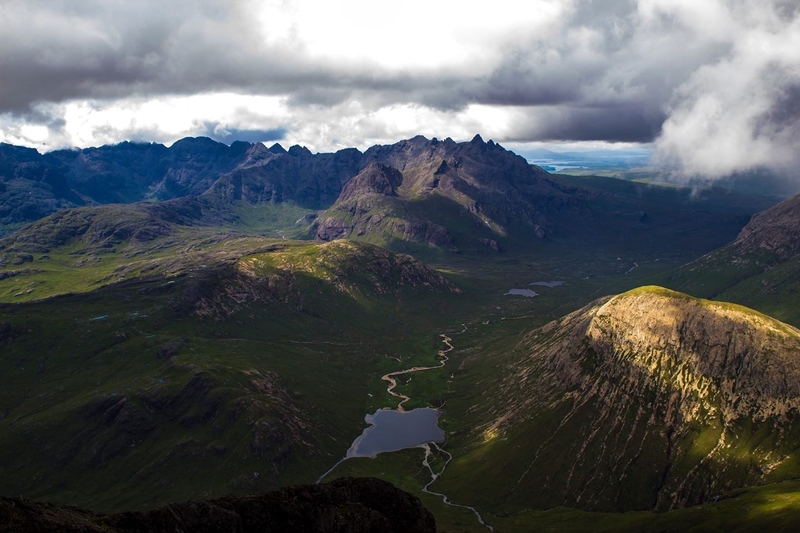 Check out our new 360 outdoor adventures featuring brilliant videos and routes of Arthur's Seat, Ben Lomond and the dramatic Cuillin Ridge. 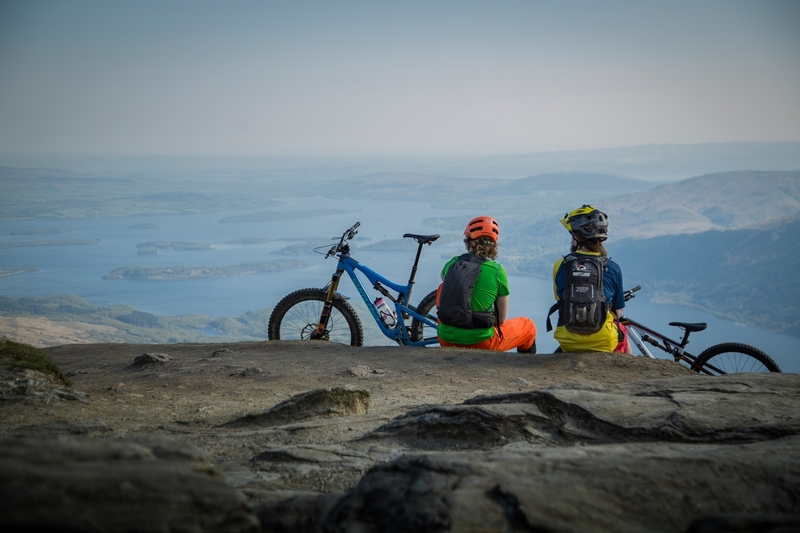 There's even a bit of climbing, abseiling and mountain biking thrown in for good measure! 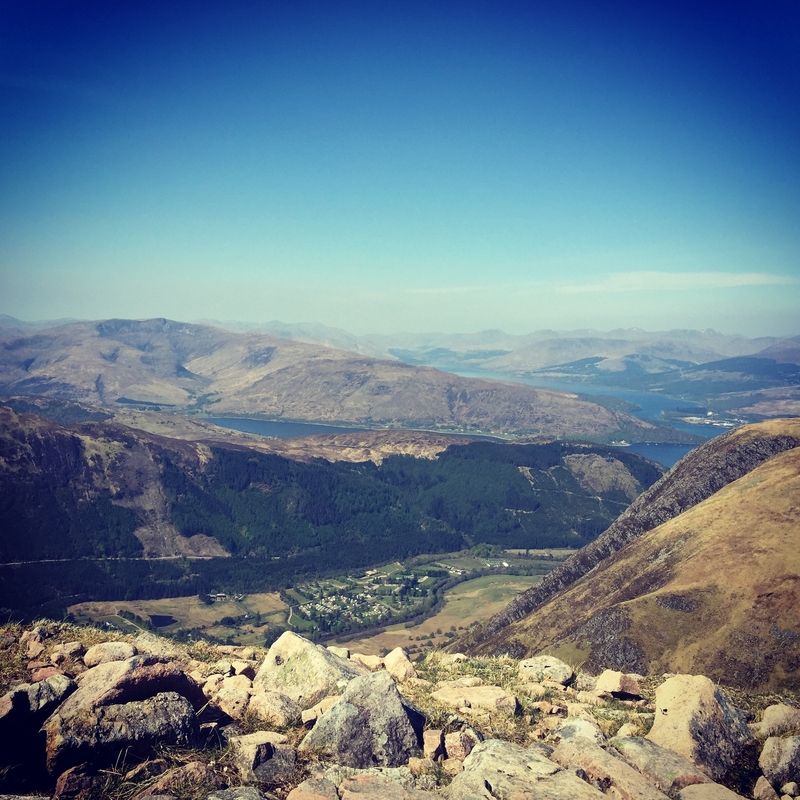 If you thought it was tough climbing a Munro, spare a thought for these brave musicians, who scaled our highest peak, Ben Nevis, to play a charity concert! Glas Maol (not a Star Wars character but sounds like one) is a decent starter. Ben Nevis was amazing @VisitScotlandMairi this was taken in early May! @gillcmcc Wow, looks amazing - need to go witness it for myself now! 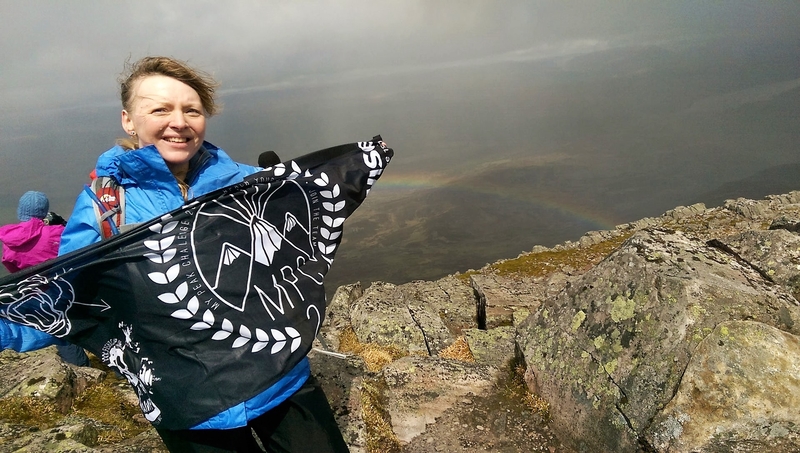 Well done @visitscotlandmuriel on bagging your first Munro! My legs were sore too, it is a fair hike, lifting your legs higher than normal. Any photos? 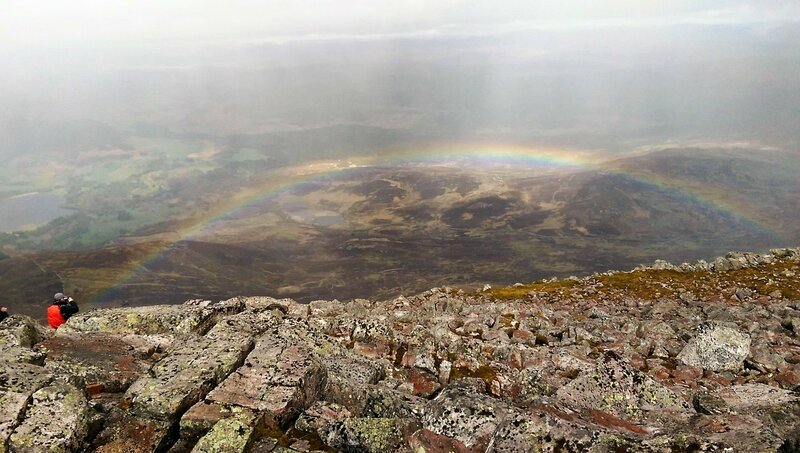 @visitscotlandmuriel my first Munro was Schiehallion in Perthshire. I loved it. I can see why they call it the Fairy Hill of the Caledonians! The mountain sparkles with quartz and rainbows! It was beautiful. 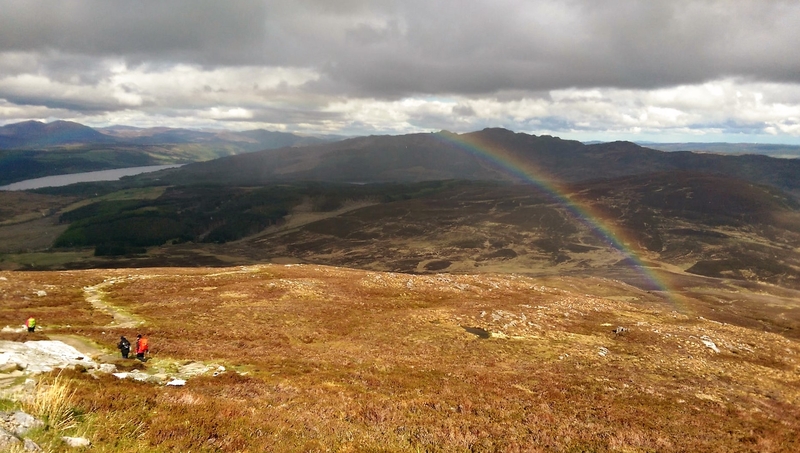 Thanks for your comment and your post about Schiehallion - I believe it is a bit harder than Ben Chonzie from what my friend was saying. Great pictures and I will definately check out your blog. I am afraid my pictures were not very good as it got really quite dark when we reached the top. I am also not very techy about posting pictures but I will learn how to when I've got good ones. 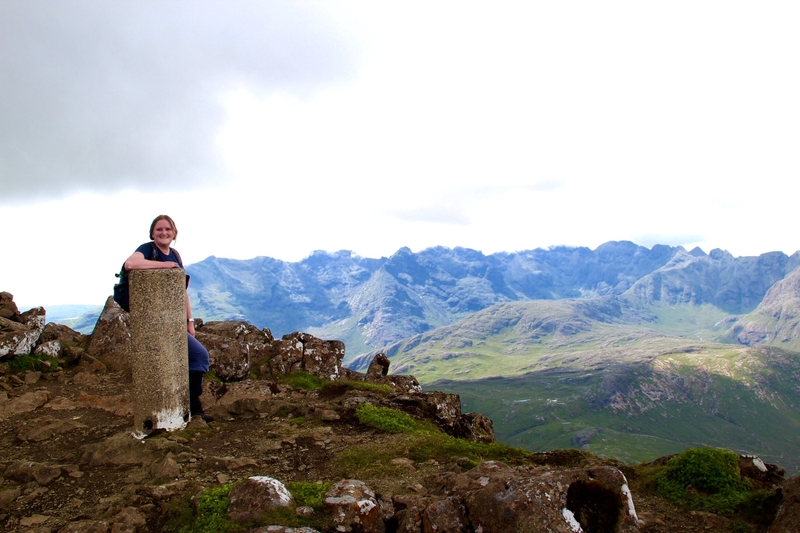 My first Munro was Bla Bheinn. We tried it one year and were forced back by bad weather, the second foiled attempt was due to extreme heat - I'm very fair and was badly burned even through my factor 50!! 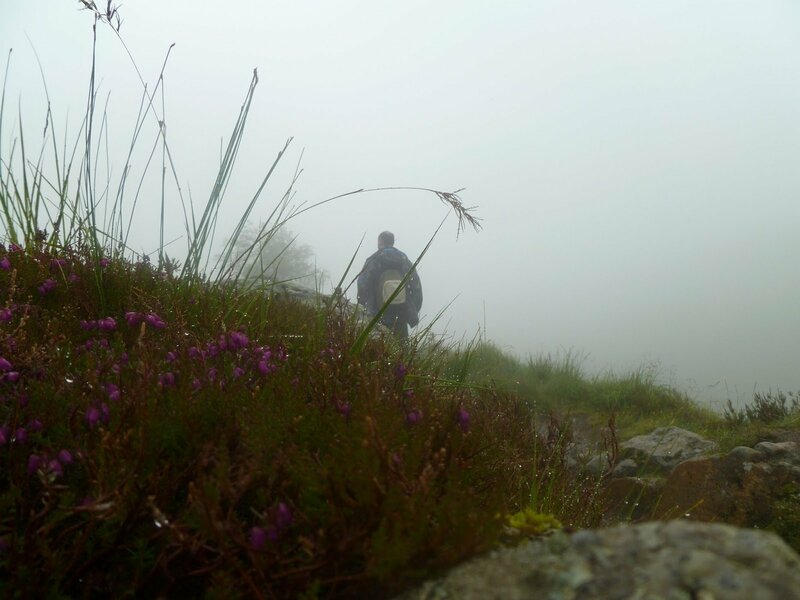 Have a look at "UK hillwalking" for ideas, route cards and descriptions of all the Munros. 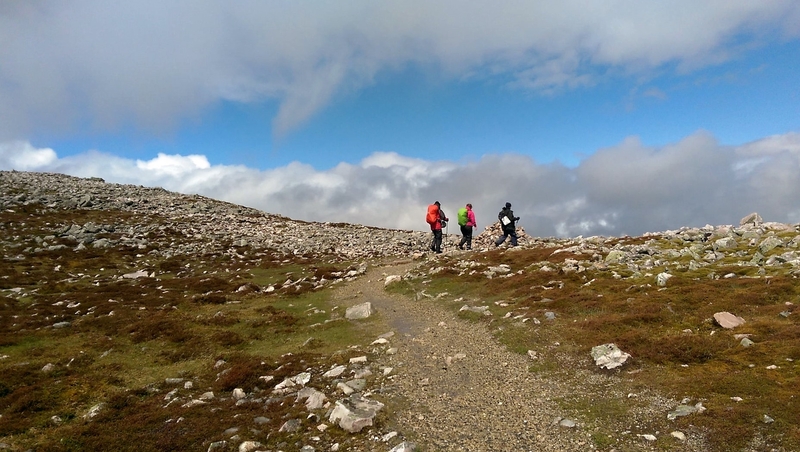 Also the "MCofS" (Mountaineering Council of Scotland - soon to renamed Mountaineering Scotland) have some great advice on the hills including details of local clubs you can join.